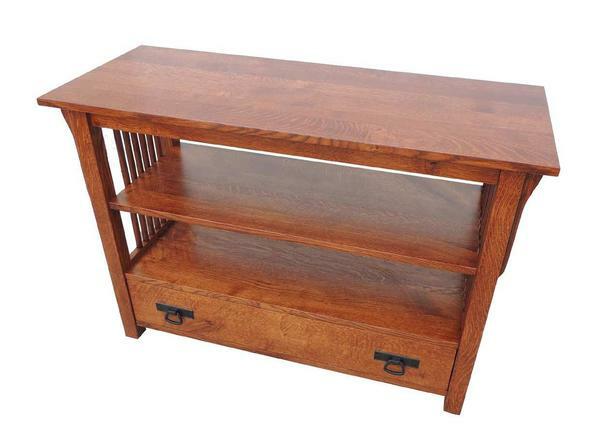 Available in two widths, our Amish Prarie Mission TV Stand provides space to store a DVR, DVD player, game console, DVDs, and more thanks to two open shelves and one or two drawers at the bottom of the piece. Details like solid square legs, mission-style slats, and corbels add character to the piece and your living room. Set your television on the solid wood top and rest-assured the Prarie Mission's quality construction will be there to support it for decades to come.